You dont have to wait for warm weather to brighten a bath with flowers. 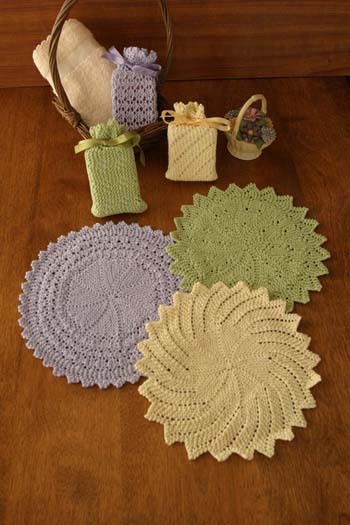 These washcloths and matching soap sacks feature garter stitch lace blossoms that look great all year. Size: Washcloths 9.5 inches, soap sacks 5 x 3 inches after seaming. Yarn Requirements: Approximately 195 yards for each set. 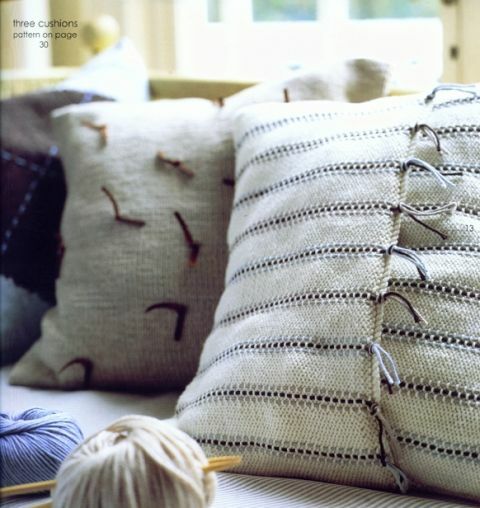 Needles: US size 3 (3.25) knitting needles and tapestry needle to sew seams. Gauge: 24 sts = 4 inches.